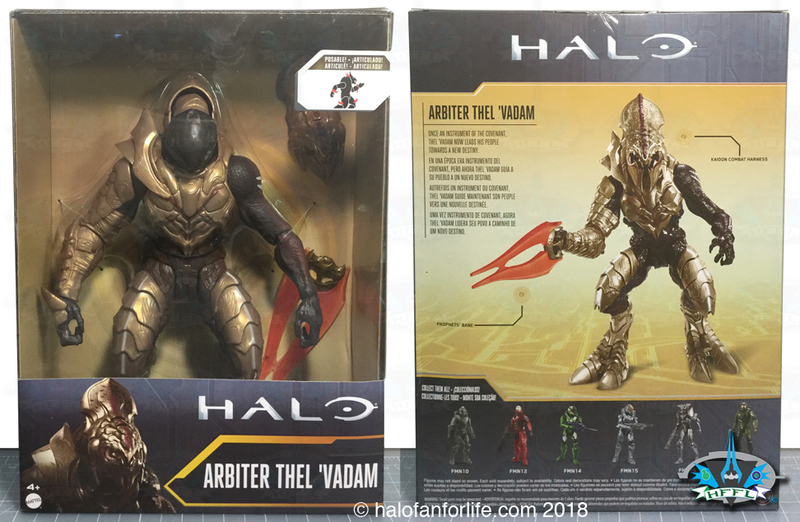 The Arbiter comes is a much wider box than the standard 12 inch Mattel figures. Several of the other figures are shown on the back of the box. The Arbiter comes with his Prophet’s Bane Energy Sword. 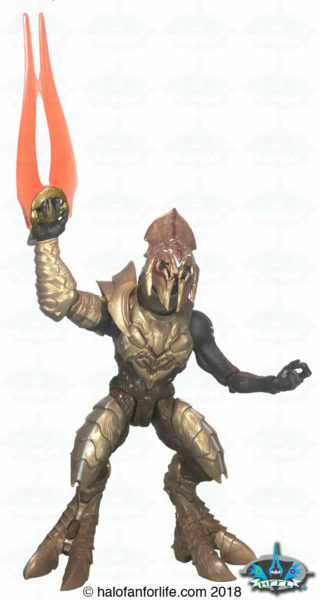 Here’s the Arbiter with his energy sword and removable Helmet. These are all of the contents of the box. The right shoulder armor of the Arbiter is articulated. It’s attached via a metal pin hinge system. 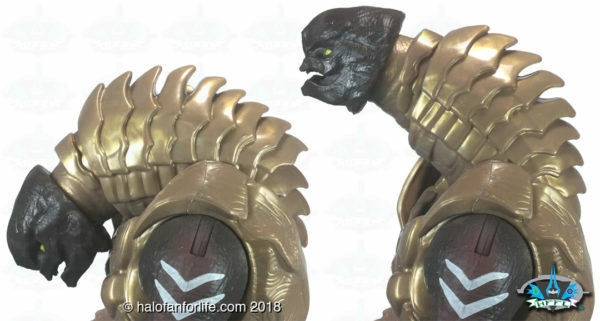 Also of note, the Arbiter’s neck and head are quite articulated. The front portion of the neck can telescope into the back portion, while the back portion can be raised and lowered quite a bit. This gives you lots of poseabilty for just the head and neck alone! 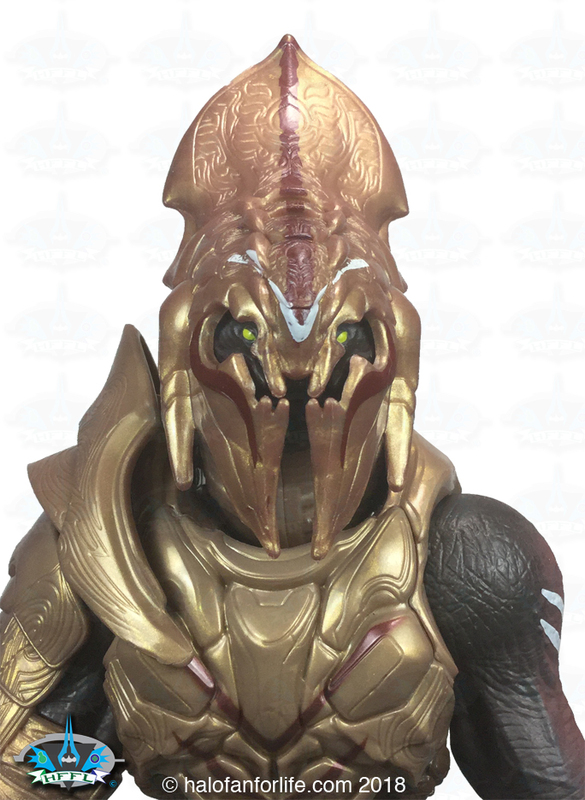 The Arbiter’s helmet is well sculpted and has great paint application to it as seen below. Here we see the Arbiter in orthogonal views. 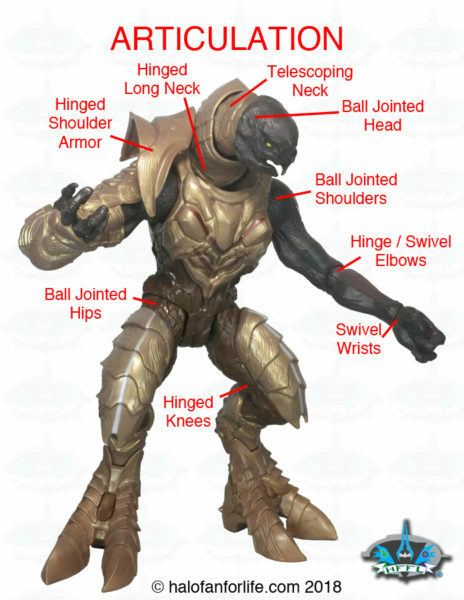 Of any of Mattel’s 12 inch figures, the Arbiter is very close to correct proportion. The back should have a little more bulk. However, given the telescoping neck assembly (which is awesome! ), I’m totally okay with the figure’s overall proportions. The Arbiter has more articulation than the more slender 12 inch Mattel figures. It definitely approaches the 6 inch line in this respect. Well done, Mattel! 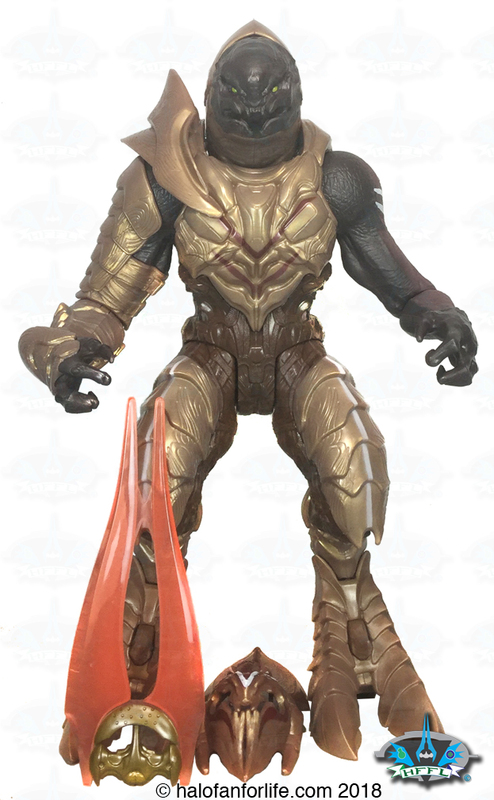 I’m very happy that the Arbiter can be posed in one of the iconic scenes from Halo 5. That of him marshaling his troops on to destroying the last remaining remnants of Jul ‘Mdama’s Covenant. Sculpt: Very good! As this was a deluxe 12 inch figure, extra attention was given to proper proportion of sculpt and it shows! 9 of 10 medals! Overall: 45.5 medals out of a total 50 medals. Do I recommend this product? Most definitely! 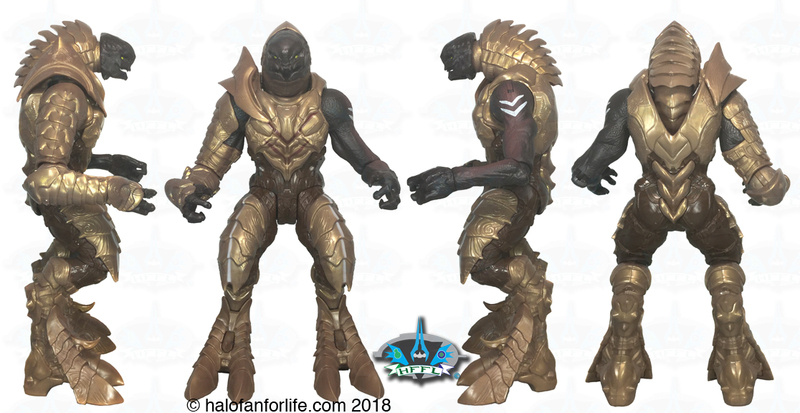 For one, it’s the Arbiter! And at a scale we’ve not had before. The sculpting is much better than the other 12 inch figures in Mattel’s 12 inch Halo line as are the paint and detail. At only $15 for this, it’s a STEAL, IMO! SO if you see it, GET IT!! !